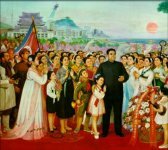 North Korea is the creation of one man — Kim Il Sung — one of the most intriguing figures of the twentieth century, dominating his country during his lifetime and afterward as few individuals in history have done. 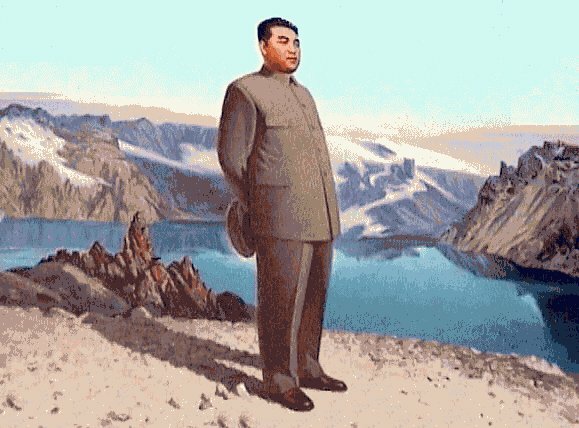 From the late 1950s until his death in 1994, Kim’s power was nearly unlimited, and he ruled his country longer than any other leader of the twentieth century. American political scientist Donald Oberdorfer pointed out in The Two Koreas that when Kim died in July 1994, he had outlived Joseph Stalin for four decades and Mao Zedong by almost two decades and had remained in power during the terms of office of six South Korean presidents, nine US presidents, and 21 Japanese prime ministers. 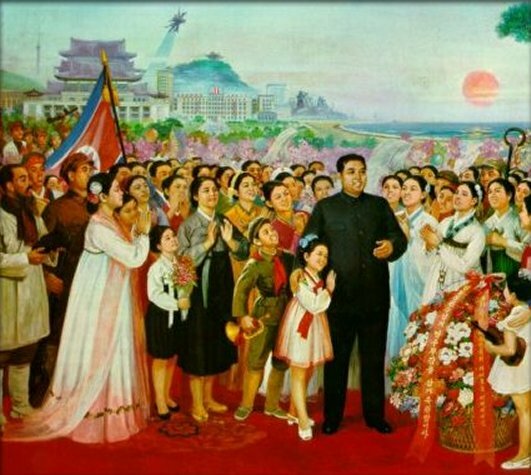 There is much debate as to who Kim Il-sung really was. The traditional cult of personality surrounding Kim makes one hesitant to follow North Korea's allegations at face value. 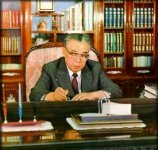 Particularly, while one can track Kim Il-sung’s history after he returned to North Korea, his earlier years are shrouded in obscurity. 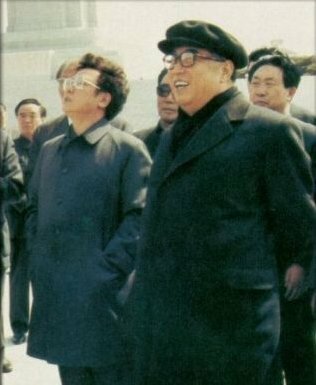 At the heart of the debate lies the issue of whether Kim Sung-ju is the same person as the Kim Il-sung who later came to rule North Korea. This is a sensitive issue, as it touches on his history of resistance against the Japanese. 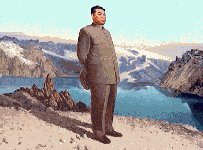 Kim’s supposed history as an anti-Japan leader played a vital role in justifying his initial rise to power in North Korea. One frequently-mentioned achievement is the 1937 Bocheon-bo Battle, where Kim supposedly led resistance forces to victory over a heavily fortified Japanese police force. The event was recorded as one that gave hope to the Koreans and terror to the Japanese colonialists. Kim’s public debut as a resistance hero was crafted in 1946 by the Soviet Commander in North Korea, Romanenko. 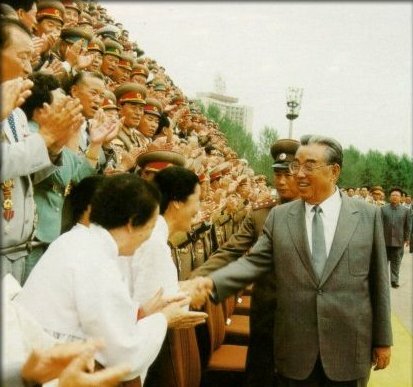 The man that Romanenko introduced to the people was ‘Kim Il-sung’, not ‘Kim Sung-ju’. 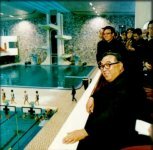 Therefore, some claim that ‘Kim Il-sung’ was an alias used by Kim Sung-ju for his resistance activities, while others believe that Kim Sung-ju had made fraudulent use of the name of the resistance hero Kim Il-sung. Kim Il Sung does not appear to have had a coherent philosophic construct guiding his life or planning for North Korean society. He was not an intellectual and not well read. He was reported to have known a lot of Confucianism and a smattering of Marx, Lenin, and Hegel. Christian influences in Kim’s early life had not been well known until the serial publication in 1992–95 of his six-volume memoir With the Century. He was born in P’yongyang on 15 April 1912 to the daughter of a Presbyterian elder and a father who had been a student at a missionary school in P’yongyang. He claimed, later in life, not to have “been affected by religion” despite his youthful connections with the church but acknowledged that he “received a great deal of humanitarian assistance from Christians.” But Kim Jong Il, unlike his father, has never had anything favorable to say about religion, having had no personal familiarity with religious beliefs and practices. North Korea was liberated from Japanese colonial rule by the Soviet Union at the end of World War II (1939-45). When Kim Il Sung returned to North Korea from the Soviet Union where he and his guerrillas had been based from 1941-45, the Soviet occupation forces in the northern part of the country presented him to the North Korean people as a hero. When Japan invaded and then annexed Manchuria in 193l, a strong guerrilla resistance embracing both Chinese and Koreans emerged. There were well over 200,000 guerrillas -- all loosely connected, and including bandits and secret societies -- fighting the Japanese in the early 1930s; after murderous but effective counterinsurgency campaigns, the numbers declined to a few thousand by the mid-1930s. It was from this milieu that Kim Il Sung (originally named Kim Sung Chu / Kim Sng-ju, born in 1912) emerged. 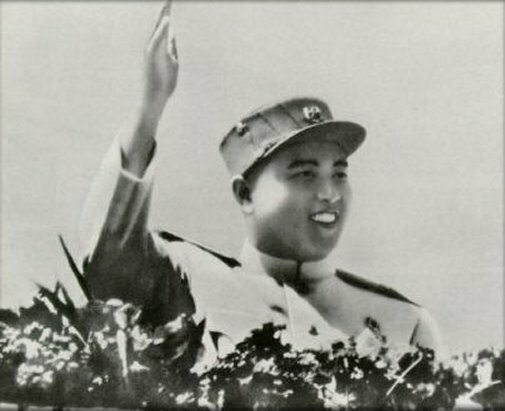 While fighting Japanese occupation forces in the 1930s, he adopted the name Kim Il Sung after a famous Korean guerrilla leader of the early 20th century. By the mid-1930s, he had become a significant guerrilla leader whom the Japanese considered one of the most effective and dangerous of guerrillas. They formed a special counterinsurgent unit to track Kim down and put Koreans in it as part of their divide-and-rule tactics. Both Koreas have spawned myths about the guerrilla resistance: North Korea claims that Kim single-handedly defeated the Japanese, and South Korea claims that the present-day ruler of North Korea is an imposter who stole the name of a revered patriot. Nonetheless, the resistance is important for understanding postwar Korea. Resistance to Japan became the main legitimating doctrine of North Korea: North Koreans trace the origin of their army, leadership, and ideology back to this resistance. For the next five decades, the top North Korean leadership was dominated by a core group that had fought the Japanese in Manchuria. 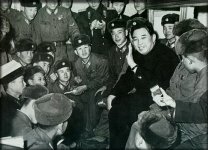 Kim Il Sung's tenure in a Russian reconnaissance brigade also would have had an influence. Only thirty-four years old when he came to power, Kim was fortunate to emerge in the last decade of a forty-year resistance that had killed off many leaders of the older generation. North Korea claimed that Kim was the leader of all Korean resisters, when, in fact, there were many other leaders. 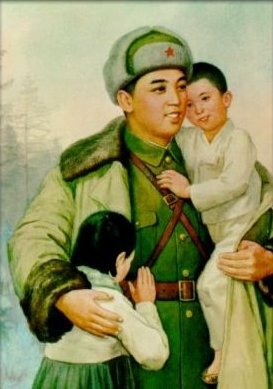 But Kim won the support and firm loyalty of several hundred people like him: young, tough, nationalistic guerrillas who had fought in Manchuria. Because the prime test of legitimacy in postwar Korea was one's record under the hated Japanese regime, Kim and his core allies possessed nationalist credentials superior to those of the South Korean leadership. Furthermore, Kim's backers had military force at their disposal and used it to their advantage against rivals with no military experience. North Korea is a classic example of the "rule of man." Overall, political management was highly personalized and is based on loyalty to Kim Il Sung and the Korean Workers' Party (KWP). The cult of personality, the nepotism of the Kim family, and the strong influence of former anti-Japanese partisan veterans and military leaders are unique features of North Korean politics. As of mid-1993, Kim Il Sung's wife, Kim Song-ae, was a member of the KWP Central Committee, a member of the Standing Committee of the Supreme People's Assembly, a deputy to the assembly, and chairwoman of the Korean Democratic Women's Union Central Committee. Kim Il Sung's daughter, Kim Kyong-hui, was a member of the KWP Central Committee and deputy to the Supreme People's Assembly (SPA), and his son-in-law, Chang Songtaek, was premier and a candidate member of the KWP Central Committee and deputy to the SPA. 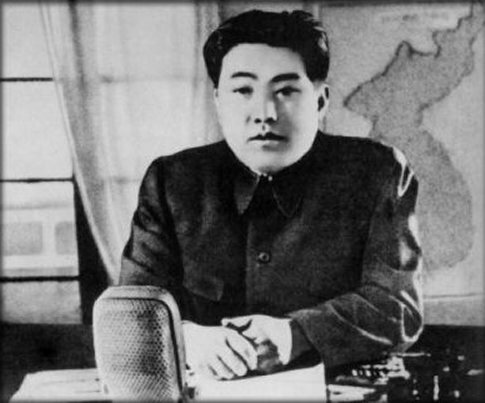 Kang Song-san, Kim Il Sung's cousin by marriage, was premier and a member of the KWP Central Committee and Political Bureau, deputy to the SPA, and member of the state Central People's Committee (CPC). 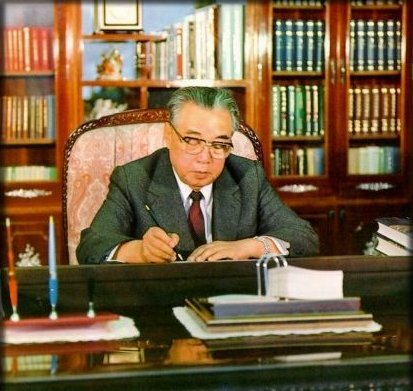 Ho Tam, who died in 1991, was Kim Il Sung's brother-in-law, a member of the KWP Central Committee and Political Bureau, chairman of the SPA Foreign Affairs Committee, deputy to the SPA, and chairman of the Committee for the Peaceful Reunification of the Fatherland. 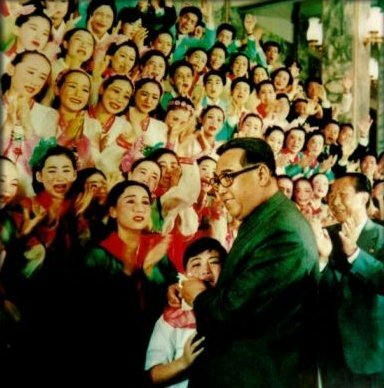 Whereas South Korea’s society was shaped by myriad influences, the North’s is Kim Il Sung’s creation. 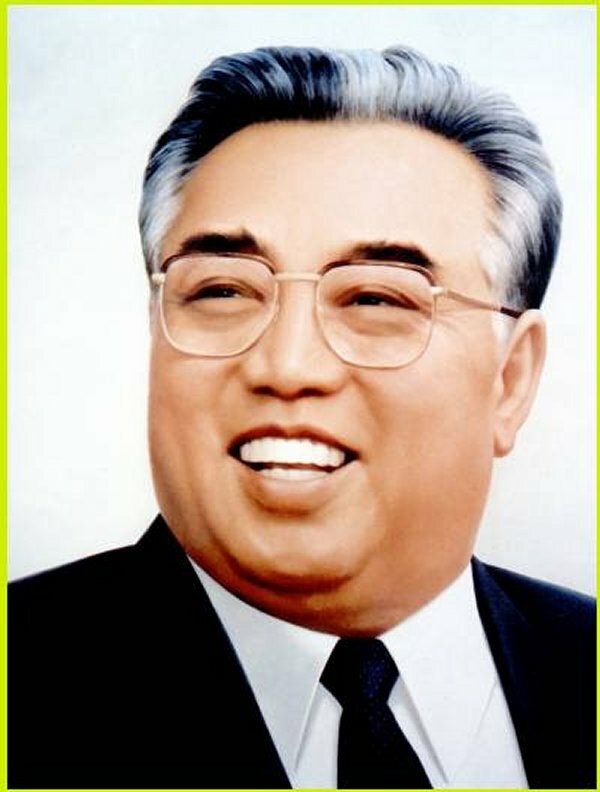 It reflects his genius and limitations, his restricted experience of the world and his deeply held convictions and, perhaps most important of all, his nationalistic doctrine of chuch’e (see Glossary), doing things his way, being independent, not following foreign example or advice but rather his own idea of what was best for North Korea. He personally laid out the streets of the rebuilt P’yongyang (his “dream city”) after the devastation of the Korean War and decided which buildings would go where and which architects would design which buildings in which style (Soviet or Korean). He planned and enforced the daily life of his people from their waking up until their going to bed, from the cradle to the grave. 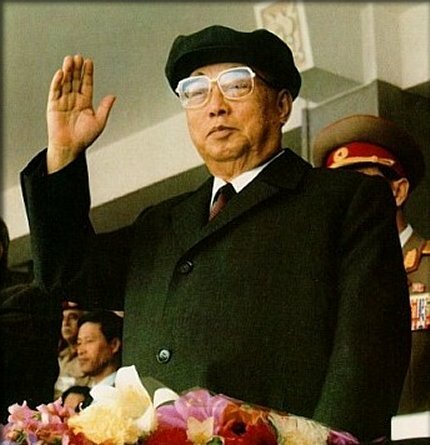 His role in the everyday life of the people may have been somewhat exaggerated, especially in later years when the cult of Kim Il Sung reached dazzling proportions, but there is abundant evidence that no other leader has ever had a greater hand in planning, directing, and boasting about a society that he created.